Employee wellness is not a buzzword. Employers across the globe need to look at the evidence and put in place beneficial wellness practices to boost productivity and performance. In the latest issue of Cardinus Connect, we revealed that the cost of stress to the US economy is around $300 billion, with some experts suggesting it could be double that. Stress is linked to employees wanting to leave their job (62% more likely under hot-head managers), employees shutting down during work (56% more likely when stressed), and a 20% direct cost to business from low job retention, strikes, stoppages and absenteeism. Productivity takes a hit too. 43% of companies estimate an average productivity loss from employee concern over private issues to be between 11% and 30%. Specifically, presenteeism affects productivity as well. Those who attend work stressed out and unwell are 50% more unproductive than those with low stress levels. Wellness, therefore, represents an opportunity for an organization to help employees destress, improve their health, feel calmer, more content and happier in both their work life and their private life. Employee wellness refers to a range of strategies and tactics that employers can adopt to improve health outcomes for its employees. It includes any health promotion activity, program or policy that that has been designed specifically to support employee health, both in and outside of the workplace. Typically, employee wellness covers guidance and information on health, activities, workshops and events, physical and mental health care, call centers, health and safety, and policy changes. It may also include employee training and development programs, employee benefit programs and recognition and incentivization schemes. A program of employee wellness brings together related activities, policies and other promotions into a wellness strategy for enhanced health outcomes. A program will be a thought-out series of activities that focus on a single health issue or combined issues, such as smoking and consumption of alcohol, or improved health and fitness. A program will adopt a strategic approach that benchmarks current health, adopts a series of tactics to improve health outcomes, and measures any change over a period. Depending on the organization and the level of engagement with employees, health metrics may be measured and reported on. Of course, privacy surrounding employee health metrics is important and should only be collected and used by health professionals. Where Does Health, Safety and Ergonomics Fit In? The link between mental health and physical health has been detailed above, but it’s also important to note that physical health also impacts upon presenteeism. In this study, those who suffer from neck or back pain are 79% more likely to have high presenteeism than employees who do not suffer from neck or back pain. Employee ergonomics strategies, like ergonomics interventions, ergonomics software and other risk profiling and prevention programs, can help managers understand employee ergonomics injuries and provide guidance to employees mitigate ergonomics risks. The most effective way to run ergonomics programs is as a proactive system of risk profiling that teaches employees how to alleviate their own risk before injury sets in. Where this is not possible, higher cost interventions can be utilized, such as physiotherapy or furniture, office, and environment design. Integration between health, safety, ergonomics and wellness programs is key to ensuring that those new found health gains are not impacted by physical health detonation through long-term MSD issues. Effective wellness programs can provide benefits in a reduction of health costs, absenteeism and presenteeism, a reduction in stress, improvements in productivity and improvement in mental health outcomes. According to The Institute for Healthcare Consumerism a well created and implemented wellness program can provide an average savings-to-cost ratio of $5.93 to $1 . This is realized from an average reduction in healthcare costs and improved health. 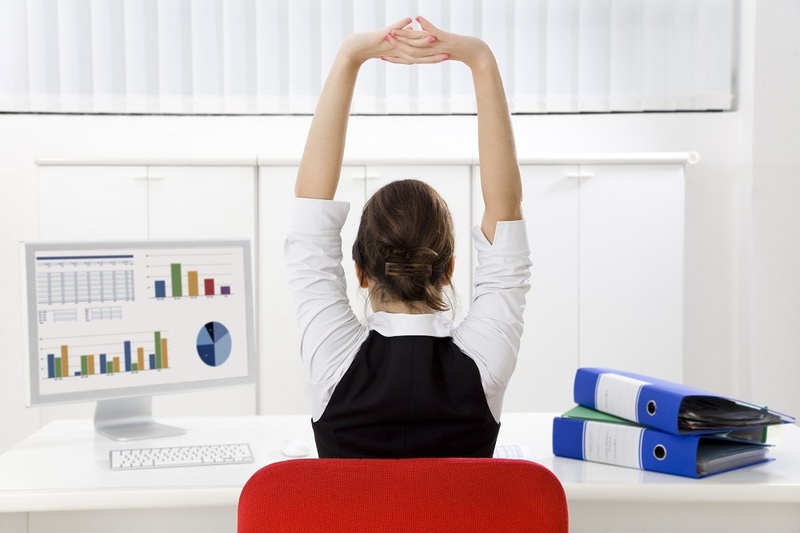 Wellness programs offer a great number of benefits, particularly when aligned to health, safety and ergonomics programs. For more information about how ergonomics and safety can improve and boost your wellness program, get in touch at info@cardinus.com or call (323) 337-9016.